Fall has arrived in all her glory, and my family is enjoying the beautiful month of October. There are so many things to love about this time of year in Colorado: cooler weather, leaves crunching under foot, gorgeous reds, oranges and yellows, the first snow. Naturally, my children are getting really excited about Halloween! We’ve got pumpkin patches to visit, costumes to prepare, parties to attend, and (as always!) books to read. 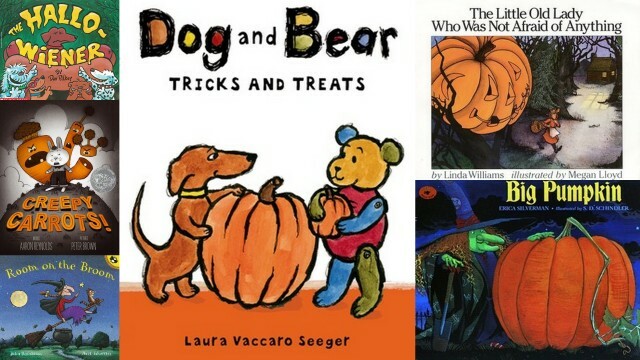 I’ve included six of our favorite Halloween picture books below, many of which are oldies but goodies! 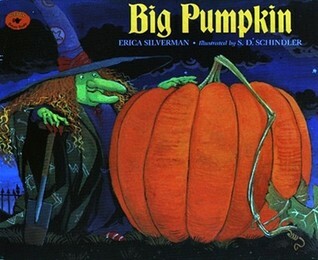 Some of Halloween’s most well known creatures (a ghost, a vampire, a mummy and a bat) team up with a witch to help her solve the problem of how to get an enormous pumpkin to her house in order to bake a pie. This story has a rhythmic pattern and a sweet message about how even the smallest among us can make a difference. Literary Awards: Caldecott Honor (2013), Odyssey Award Nominee (2014), An ALA Notable Children’s Book for Young Readers (2013), and others! OK, I realize this is not really a Halloween book, but it’s phenomenal and a great choice for older children. The many shades of gray combined with bright orange definitely give it a Halloween look. 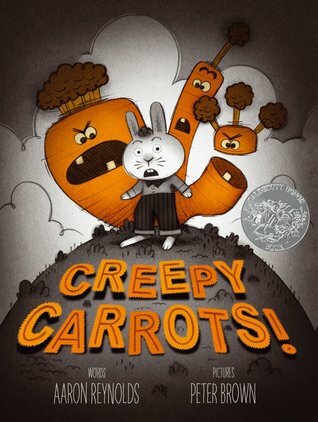 Creepy Carrots is a great spooky story with a twist. Hop on over to the library and grab a copy! 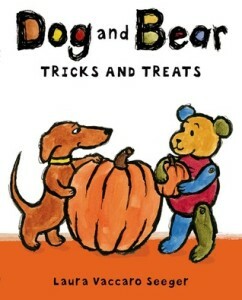 I am a big fan of Laura Vaccaro Seeger, and the Dog and Bear books were a hit with my kids when they were toddlers. They still pull them out from time to time and giggle at the adventures of these two characters. Tricks and Treats is one of four books in the series, and just like the other books, there are three short stories within. The last story in particular would be great to use to demonstrate the importance of illustrations (in this case the story wouldn’t make sense without them). 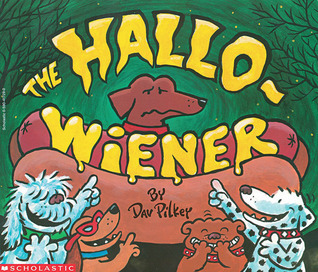 If I had to choose my absolute favorite Halloween book, this would be the winner. I mean, just look at the dogs’ expressions on the cover! Full of puns, this is a funny story with a message about bullying. The author/illustrator, Dav Pilkey, is most famous for his Captain Underpants series. He doesn’t disappoint with this hot dog of a tale! Younger children love acting out this classic story. An old lady is walking home through the woods when she is approached by several articles of clothing and a pumpkin head. She insists that she is not frightened, but continues to walk at a quicker pace. The story has a repetitious pattern and an ending that many kiddos are able to predict. 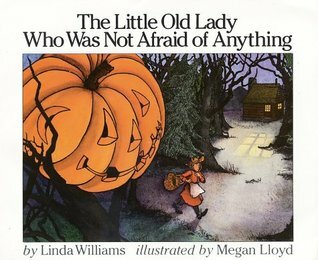 Spoiler alert: The Little Old Lady Who Was Not Afraid of Anything would be great paired with a scarecrow craft! Silly rhymes and patterned text make this a read aloud winner. 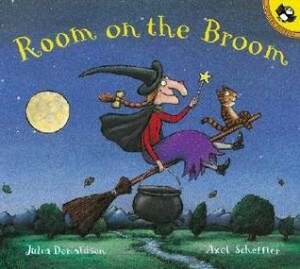 I like to pair this story with props: a witch’s hat, a bow, a wand, and a cauldron make it even more magical!